"SONA ON JULY 28, 2014"
MY VOICE IN THIS DEMOCRATIC COUNTRY AND OPINION AND COMMENTARY AND SUGGESTIONS AND AS SIMPLE HUMAN IN THIS WORLD SOCIETY ON THIS COMING 5th SONA 2014 JULY 28TH OF THE PRESIDENT AQUINO. I PROMOTE GOOD GOVERNANCE AND HUMAN RIGHTS TO IMPLEMENT WELL BY THE PRESIDENT. IN THIS COMING SONA I HOPE THE PRESIDENT CLEARLY STATE WHAT HE DID GOOD IN HIS GOVERNANCE AND WHAT HE WILL DO CONTINUESLY FOR THE GOOD OF THE FILIPINO PEOPLE AND PHILIPPINE COUNTRY. THE ISSUE IN HIS GOVERNANCE WERE MUCH VERY PRESSURING AGAINST HIS "TUWID NA DAAN" IN GOOD GOVERNANCE. 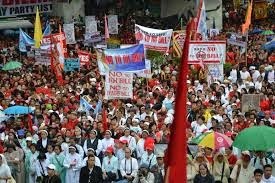 THE FILIPINO STILL SHOUTING FOR FOOD AND POVERTY ALLEVIATIONS AND GOOD LIVING. I AM PROMOTIING ALSO FULL IMPLEMENTATIONS OF HUMAN RIGHTS AND GOOD GOVERNANCE FOR GOOD LIFE IN THE PHILIPPINES WHICH IN MY ANALYSIS AND RESEARCH IN PHILIPPINE SITUATIONS WE ARE STILL IN THIRD WORLD COUNTRY AND POVERTY ARE STILL RAMPANT AND ONLY FEW ARE ENRICHING THE DEVELOPMENT OF THE COUNTRY. THE HUMAN RIGHTS ARE NOT IMPLEMENTED WELL AND INEQUALITIES IN POLITICS AND ECONOMICS AND SOCIAL AND JUSTICE ARE STILL RAMPANT. THE ABUSES AND CORRUPTION IN THE GOVERNMENT ARE RAMPANT ALSO. WHAT IS THE DIFFERENCE FROM THE PAST REGIME PEOPLE LIVE IN SURVIVAL EVEN THOUGH THE MODERN TECHNOLOGY ARE DEVELOPING IN THE PHILIPPINES ONLY FEW FEEL THIS DEVELOPMENTS AND GOOD LIFE SPECIALLY THOSE RICH PEOPLE. 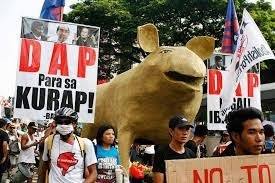 PRESIDENT TO IMPEACH AND PAY FOR THE DAP MISUSE. I HOPE THE PRESIDENT WOULD CLEAR HIS NAME IN HIS SONA ABOUT THIS ISSUE ALSO. STATE TO THE PEOPLE IN GOOD FAITH YOU USE THE DAP FOR THE PEOPLE DEVELOPMENT FROM FEEDING THE HUNGRY FILIPINO, GIVING HEALTH BENEFITS, HELPING ABUSED FILIPINO AND SUPPORTING PEACE TALKS. THE ACCOUNTABILITY PLATFORM OF THE PRESIDENT IS VERY GOOD BUT I HOPE HE ABIDE IN HIS PLATFORM. I PROMOTE RIGHT TO STANDARDIZATION IN THE PHILIPPINES TO GIVE GOOD LIFE FOR THE FILIPINO PEOPLE. WE NEED A GOOD LEADER LIKE PRESIDENT TO IMPLEMENT IT BY THE CONGRESS OR BY THE PRESIDENT POWER IN EXECUTIVE ORDER OR OTHER LAWS. THE PRESIDENT OR THE GOVERNMENT HAS TO INITIATE TO CONVINCE THE PHILIPPINE CIVIL SOCIETY TO HELP EACH OTHER BY IMPLEMENTING THIS STANDARDIZATION IN THE PHILIPPINES SPECIALLY SUPPORT OF THE BUSINESS INDUSTRY. THE EQUALITY OF JUSTICE IN THE PHILIPPINES IS UNEQUAL AND MANY FILIPINOS ARE OPPRESSED AND ABUSED IN JUSTICE FROM POLICING AND SOCIAL EQUALITY ETC., ETC.. OUR SOCIETY AND GOVERNMENT IN GOVERNANCE STILL UNFAIR AND UNJUST IN EQUAL JUSTICE. THOSE WHO HAVE MONEY AND INFLUENCES IN GOVERNMENT AND SOCIETY STILL IN THE POSITION OPPRESSING AND ABUSING OTHERS. IMPLEMENT EQUAL JUSTICE AND HUMAN RIGHTS. WE HOPE THE PRESIDENT BE SERIOUS IN LEADING TO HAVE FAITH IN GOD THRU JESUS CHRIST OR GIVING ADVANTAGE OF RELIGION IN LIFE FOR OUR SPIRITUAL SALVATIONS. LEAD THE PEOPLE WITH SPIRITUAL SALVATIONS. DO THE GOOD GOVERNANCE WITH FAITH TO GOD THRU JESUS CHRIST. I HOPE THE PEACE SHALL MAINTAIN IN SONA ON JULY 28. 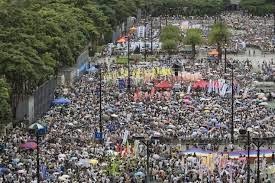 THE PEACEFUL ASSEMBLY WOULD BE EMPOWER BY THE PEOPLE VOICING OUT THEIR CONCERN AND DEMOCRATIC RIGHTS FOR THE GOOD OF THE COUNTRY AND FOR THE PEOPLE.